No doubt Jeremy Corbyn was relieved that for a couple of days the media was focussing on former foreign secretary Boris Johnson’s remarks about the burka and temporarily relegating the latest fake news about Labour ‘anti-Semitism’ from the main headlines. But, unfortunately, it will not last long. Johnson may have compared women wearing the burka to “bank robbers” and “letter boxes”, but no-one should expect the media to start digging up previous Islamophobic remarks he may have made, let alone start a campaign to expose the “severe and widespread” Islamophobia affecting the entire Tory Party (although, of course, there is no doubt that this would be much more productive in terms of finding genuine examples than the ‘anti-Semitism’ nonsense has been). I am afraid to say, Jeremy, that the attacks on you are not going to stop any time soon. They are, after all, predicated on two interconnected aims: ensuring that support for Israel – imperialism’s key ally in the Middle East – is not undermined; and helping to win back control of the Labour Party for the right wing, so that the ruling class will have a ‘responsible’ alternative to the Conservative Party, should it become temporarily unelectable. That is why no end of apologies or unprincipled retreats will stop the onslaught. In reality, the more Corbyn does that, the more the onslaught will intensify. Everyone can see that it is paying off. Denying the continuing problem doesn’t help. Labour staff have seen examples of holocaust denial, crude stereotypes of Jewish bankers, conspiracy theories blaming 9/11 on Israel, and even one individual who appeared to believe that Hitler had been misunderstood. This is worse than pathetic. 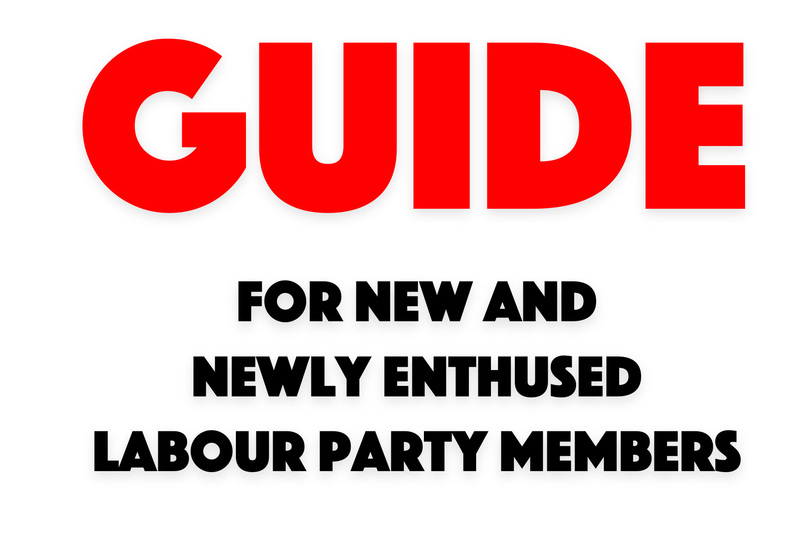 There is no doubt that among the more than half a million members that the Labour Party now has a minority that have all kinds of weird views – and some of them will find their way on to social media. But, as Corbyn himself admits, they account for only a tiny percentage of the membership, most of whom will be inactive. There is no evidence of such people exerting any influence whatsoever. Of course, much has been made of a small number of high-profile cases – Ken Livingstone, Jackie Walker, Marc Wadsworth, Tony Greenstein, Moshé Machover … But in none of them has anti-Semitism been established. For the most part the original allegations were withdrawn for charges such as the catch-all “bringing the party into disrepute”. In the case of comrade Machover, all the preposterous claims made against him were withdrawn after a rank-and-file campaign, while comrade Walker’s case has yet to be heard almost two years after she was suspended. 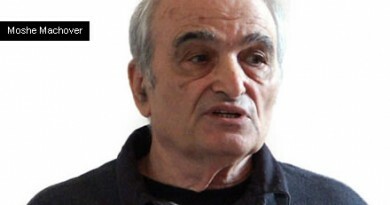 It is true that Corbyn states: “there are also many non- or anti-Zionist Jews who should not be branded as anti-Semites simply because they are not part of the Zionist tradition” – that applies to comrades Walker, Machover and Greenstein. But then he adds: “Both traditions have always had honourable proponents in our movement” (my emphasis). So the tradition of Zionism is “honourable”, is it? I am sorry, Jeremy, but Zionism is a reactionary ideology (as you once knew) – based on the notion that Jews everywhere will always be oppressed unless they establish their own state. True, it emerged as a reaction to widespread anti-Semitism and pogroms in many countries, but it was opposed by the majority of Jews, who regarded themselves first and foremost as German, Russian, British, French … Indeed Jews have always played a prominent role in the internationalist working class movement, which calls for a united struggle against oppression, as opposed to Zionist separatism. 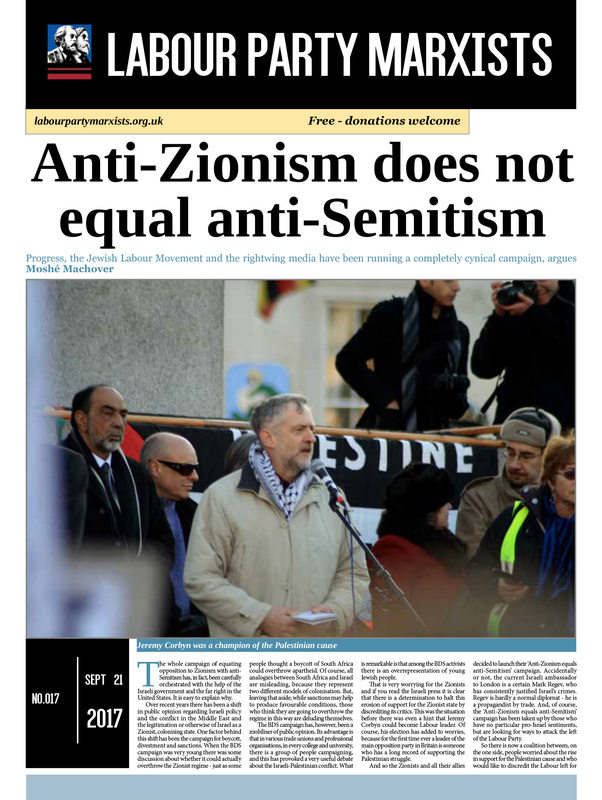 But now the Labour leader seems to accept that the Zionists are a bona fide representative of the “Jewish community”. He still has not met with representatives of the anti-Zionist Jewish Voice for Labour, despite JVL’s constant requests. (By the way, JVL organised a 100-strong protest on August 7 outside the BBC against its biased coverage of this whole business, but, true to form, the corporation did not report it – and neither did any other media outlet apart from the Daily Mail.) On the other hand, he begs Zionist groups like the Jewish Labour Movement to have another meeting with him to help ‘smooth out’ the difficulties – which, of course, JLM is declining to do. The first of these is blatantly pro-Zionist – implying that Jews in each and every country share a common nationality and as such have the right to “self-determination”. What is more, the Zionist colonisation of Palestine of necessity involved racist laws and practices against the Palestinians. It is absurd to claim that pointing out these straightforward facts is a form of prejudice or hatred against Jews. The same applies to the second example quoted. In fact, it is common in Israel itself for such comparisons with Nazi Germany to be made – the most recent case being over the knesset’s adoption of Binyamin Netanyahu’s Nation-State law, which enshrined a ‘blood and soil’ version of nationalism; it has been compared in Israel not just to apartheid legislation, but to German fascism. Anti-Semitismis a certain perception of Jews, which may be expressed as hatred toward Jews. Rhetorical and physical manifestations of anti-Semitismare directed toward Jewish or non-Jewish individuals and/or their property, toward Jewish community institutions and religious facilities. This clearly cannot be the basis of any reliable definition. The fact that it states that anti-Semitism “may be expressed as hatred toward Jews” indicates that it is incomplete. You do not have to ‘hate’ Jews to be an anti-Semite. For example, throughout the first half of the 20th century, it was easy enough to encounter the expression of all manner of low level forms of prejudice directed against Jews. As for the second sentence, it is obviously accurate, but it in no way helps define what anti-Semitism is. Let me turn now to the slurs directed against Pete Willsman – the latest in a long list of false accusations, which in this case conveniently targets an NEC member. His intervention at the July 17 NEC meeting was secretly recorded and given to the Jewish Chronicle. 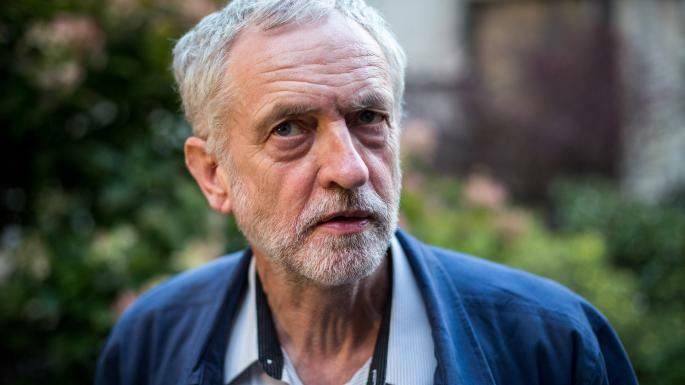 In this he noted the letter signed by 68 rabbis, which was published in that morning’s Guardian, who stated: “… anti-Semitism within sections of the Labour Party has become so severe and widespread that we must speak”. 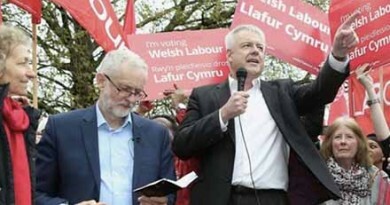 In his online report of the meeting posted two days later, he stated: “In 50 years I have never seen any anti-Semitism in the Labour Party” – a sentiment that the majority of Labour activists would no doubt echo. On the recording he can be heard saying: “Ask the rabbis, where is your evidence of severe and widespread anti-Semitism in this party?” He also claimed that some of the people posting “duff information” were “Trump fanatics”. This NEC meeting was dominated by a very lengthy, very informed and very thoughtful discussion regarding the anti-Semitism code of conduct. In my 37 years on and off national committees, I can hardly remember a more sensitive and thoughtful debate. Almost every NEC member provided contributions. There was no attempt at point-scoring and every participant spoke frankly and sincerely. However, a couple of weeks later, the recording was made available, and comrade Willsman was the target of the most malicious smears. Because he had criticised some Jews, he just had to be an anti-Semite. 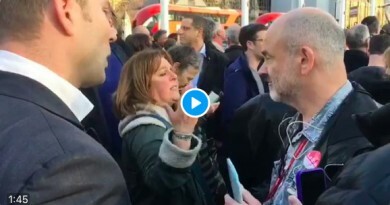 Some called for him to be immediately expelled, while Labour deputy leader Tom Watson stated: “For the avoidance of doubt, Peter Willsman is and always has been a loud-mouthed bully. He disgusts me.” It is, of course, quite acceptable for members of the Labour right to use such language. Not all of what I said has been accurately reported. But I accept that what I did say, and the way I said it, fell short of the requirement, which I accept, for discussions of contentious issues to be conducted in a fully civil and respectful way. I deeply apologise for any offence caused to those present and those to whom my remarks were reported. I recognise the offensive nature of my comments and that, in diminishing the experiences of those who face anti-Semitism in our party and society, I showed a lack of the sensitivity required for discussions around racism. I will be referring myself to receive equalities training, so I can better understand how to approach discussions of such issues in a respectful way. Comrade Willsman was, of course, dropped from the Momentum slate of recommended candidates for the NEC, but hopefully the majority of Labour members will ignore this disgraceful decision and vote for him, together with the other eight Corbynite candidates. It is clear too that Corbyn’s comment about the denial of “severe and widespread” anti-Semitism “contributing to the problem” was in part directed against comrade Willsman. The implication is that anyone who now repeats this will themselves risk disciplinary action. Pretend that you agree with the smears or face the consequences. 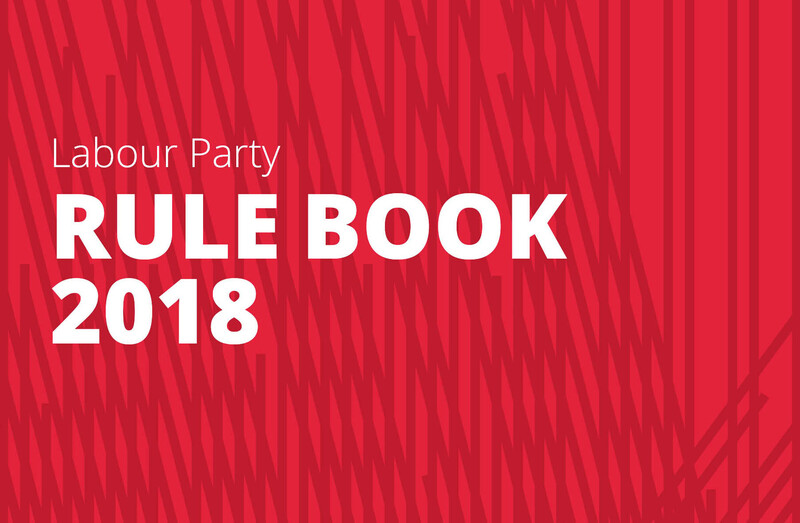 The lesson of the ‘anti-Semitism’ campaign is clear: the more Corbyn retreats, backtracks and apologises, the more the Labour right grows in confidence. Backed up by virtually the entire media, their attacks will only intensify. It is time for the Labour leader to stand up to his enemies instead of conceding more and more ground. ← In defence of Pete Willsman! In defence of Stan Keable! March 29, 2018 Comments Off on In defence of Stan Keable!